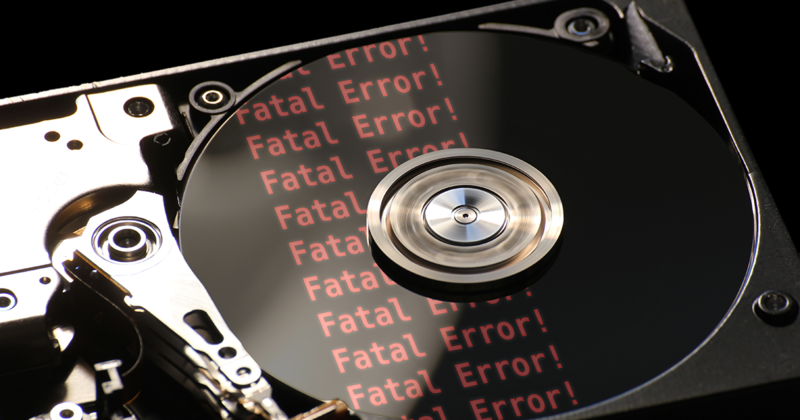 This morning we were jarred from our morning routine by a dandy failure of a solid state disk drive. Typically, for a small business running your typical server, this would be a show stopper. The standard process for a break-fix customer would be to arrive at the office and greeted with a piercing alarm sounding at DEFCON 1. Invariably, this is going to result in a panicked call to their IT service provider of choice. They’ll arrive on site and diagnose a failed hard disk drive, initiate the RMA or replacement process and have you back up and running full-speed in 24-48 hours. That sounds OK. However, it will hurt! A RAID array failure and its subsequent rebuild is a time intensive process that saps performance in a significant way. Lots of common RAID types lose massive performance just from the drive dropping out. Perhaps your vendor was thinking ahead, planning for failures and incorporated a hot-spare drive for failover purposes? Good luck – our experience often has found that critical data for business function and continuity isn’t on a raid system at all – let alone with a hot spare ready to go. Not only are performance and general availability going to suffer – but that scenario doesn’t sound like a great way to start your day in the office. Enter Managed Services. Instead of the above scenario of disruption and downtime, we were alerted to the problem immediately. Not only were we informed, but with proper planning, the fix was already in progress. Usually a hair-raising alarm, we knew the fix was already in place. So instead of arriving at the office, being unable to start their day because of an unexpected IT failure, they have come to find no alarms, zero performance degradation and replacement hardware to cover for the failed drive already on the way. They don’t even know. We will call tomorrow with the part, inform the client of the failure and schedule a time convenient for them for the replacement. It’s not an emergency anymore. We want to get that to full capability ASAP, but nobody is suffering being less productive than they want to be. Check out our Managed IT Service and let us plan to keep you in the game instead of dreading the failure. We offer a complete system of business continuity services to keep your business running to any level your business requires. Reach out today! Our consultations are always free.